Has Georgia been on your mind? Not the Peach State, though its Southern charm never fails to win you over. It’s actually the European country that you keep hearing about. Georgia, with its Caucasus Mountains and Black Sea beaches, is one of the most beautiful places in the world. And travelers have just started to realize it. Okay, maybe not all travelers. The Russians knew about it and kept it a secret for years. Georgia was an independent kingdom until they arrived in 1801. Russian rule turned into Soviet rule, and the country didn’t gain its independence again until 1991. The Russians were using the area as a vacation spot the whole time. One of their favorite areas was Adjara. The autonomous region is in southwestern Georgia along the Turkish border. The Greeks, the Romans, and the Byzantines called it home, before the Ottomans arrived in the early 17th century. They converted the Christian people to Islam. The religious difference is why the region remains separate—with close ties to Turkey—to this day. Not that Adjara’s tourism is built upon its religious sites. Far from it. Batumi, Georgia’s second-largest city, is known for its beaches, gambling, and nightlife. Its historic Old Town is surrounded by Belle Époque facades, Soviet-style apartments, and modern high rises. Mosaics, paintings, and stained-glass windows fill Piazza Square. Batumi Boulevard, a seven-kilometer pedestrian walkway, is lined with palm trees, colonnades, fountains, and sculptures. The beaches have stones instead of sand, though they still face turquoise water. While mountains, botanical gardens, and historic sites aren’t far from the center of the city. You’re already trying to decide where to head first as you settle into your hotel. 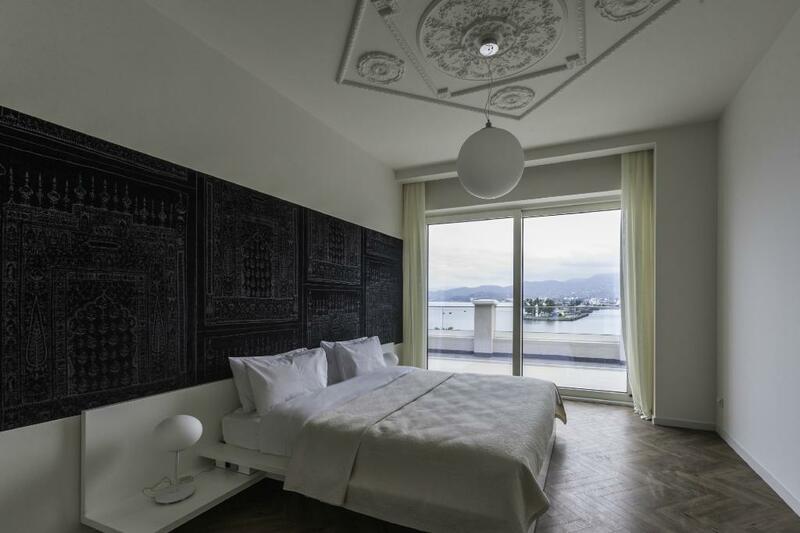 Though there are already plenty of international hotels in Batumi, you choose the smaller Le Port Apart Hotel. The apartment-style hotel sits on the old side of the city’s port. Your spacious studio apartment has a living room, a kitchen, and a bedroom. It somehow mixes classical and contemporary, minimal and eclectic styles all at the same time. While the balcony overlooks both the city and the sea. It’s from the balcony that you notice the Argo Cable Car. 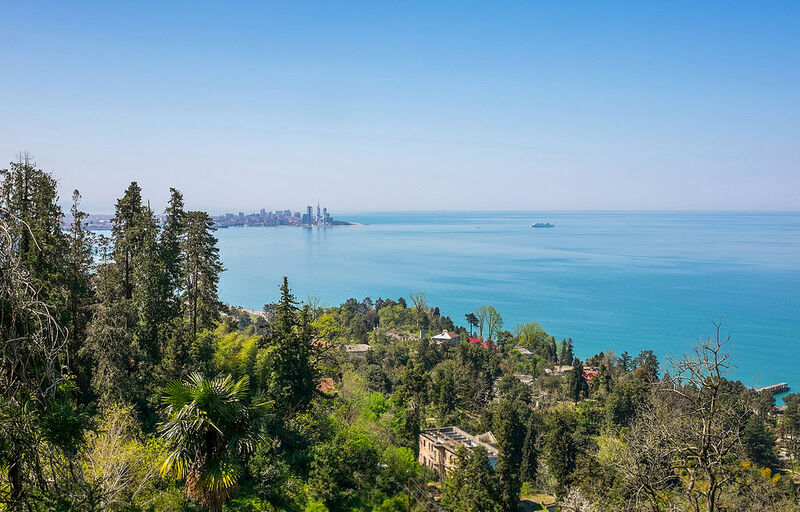 The 10-minute ride climbs Anuria Mountain for what must be stunning views of Batumi, the Black Sea, and the surrounding mountains. It looks like the perfect place to start. It might even point you toward your next direction. The ruins of the Gonio Fortress, the Batumi Botanical Gardens, or one of the uncrowded beaches near it are all possibilities. Though who knows what other Russian secrets you’ll find along the way.